Next time you stop in, mention “CheapChicas” to save 20% on jeans by the hottest names in denim like Rock and Republic, True Religion and James Jeans. Tucked away on the corner on 18th and Sansom sits one of my favorite stores in all of Rittenhouse Square. 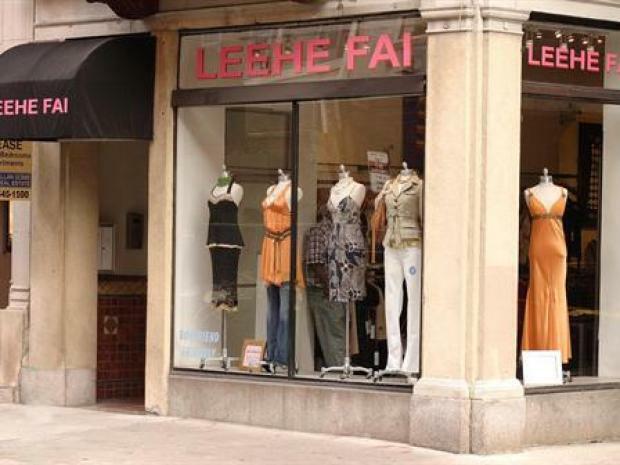 Leehe Fai is a must-stop for local fashionistas and visiting celebrities like Cameron Diaz and Jennifer Lopez! Part of the allure of this beautifully-edited boutique is the owner herself, Leehe Fai Goldfarb. Although she doesn’t come from a traditional fashion background, she quickly mastered the art of buying and merchandising, “I have always had an eye for fashion and fine things,” says Goldfarb and her style is evident in every part of the store. From the beautifully-appointed jewelry case, to her extensive selection of designer denim and the perfect mix of casual and dressier items, you’re sure to find just what you’re looking for! Fai's store caters to it’s shop-a-holic clientele by offering selective and unique brands, but it also caters to their partners, “our store is totally ‘boyfriend friendly’…we provide comfortable seating, magazines and we even have Game Boys for the guys!” jokes Fai. And if you’re wondering what NOT to wear, Fai says to pass on anything Tie-Dye and Uggs! "Certain items are definitely worth spending money on, but others just aren't." Next time you stop in, don’t forget to mention “CheapChicas” to save 20% on jeans by the hottest names in denim like Rock and Republic, True Religion and James Jeans…and why not pick up a great accessory while you’re at it? Those are now 20% off too! Philly-based Fashion Expert Lilliana Vazquez has been in the industry for almost 10 years working at top fashion magazines, as an accessories designer and as a fashion consultant. She is a regular contributor to Glamour Magazine, Marie Claire, WE Women's Entertainment, Univision and a contributor to NBCPhiladelphia.com. Lilliana is the founder and editor of The Cheap Chicas Guide to Style, a daily blog featuring the best in budget fashion and expert style tips. With daily updates and deals, it is the go-to destination for frugal fashionistas!